When they declare their love for each other as teenagers, Edward Spencer IV (Ted) and Olivia de la Vega never imagine that they’ll spend the rest of their lives finding and losing each other as their careers and circumstances draw them apart, but keep them tethered through the slenderest of strings. Cast as Guinevere and Lancelot in their high school’s production of Camelot, Ted and Olivia were like Shakespeare’s “star-crossed” Romeo and Juliet. Ted, the only son of a wealthy manufacturer, and Olivia, the only daughter of a cleaning lady, may have come from different social and economic worlds, but they share a passion for music and for each other. Through a series of unfortunate misunderstandings, they are torn apart and spend the next three decades building careers and lives without each other, Ted as a concert violinist and Olivia as a movie star. Only when Olivia inherits a rare violin, the missing Guinerius Merino Rose, and contacts a violin appraiser, is there a chance that the strings linking them to their past might be able to tighten once again. As Ted reflects on the course his life has taken in this first person narrative, the narrator of this audio book, Carlyle Coash does a brilliant job of subtly increasing the vitality and passion of his delivery. As a privileged teenager, Ted has a kind of bland existence, but after the colorful Olivia da la Vega brings out his passion for his music and he gains confidence, he becomes a dynamic force in both his personal and professional life. The increasing pace and intensity of Coash’s narration reflects Ted’s development and adds a wonderful dimension to Edward’s enchanting story. 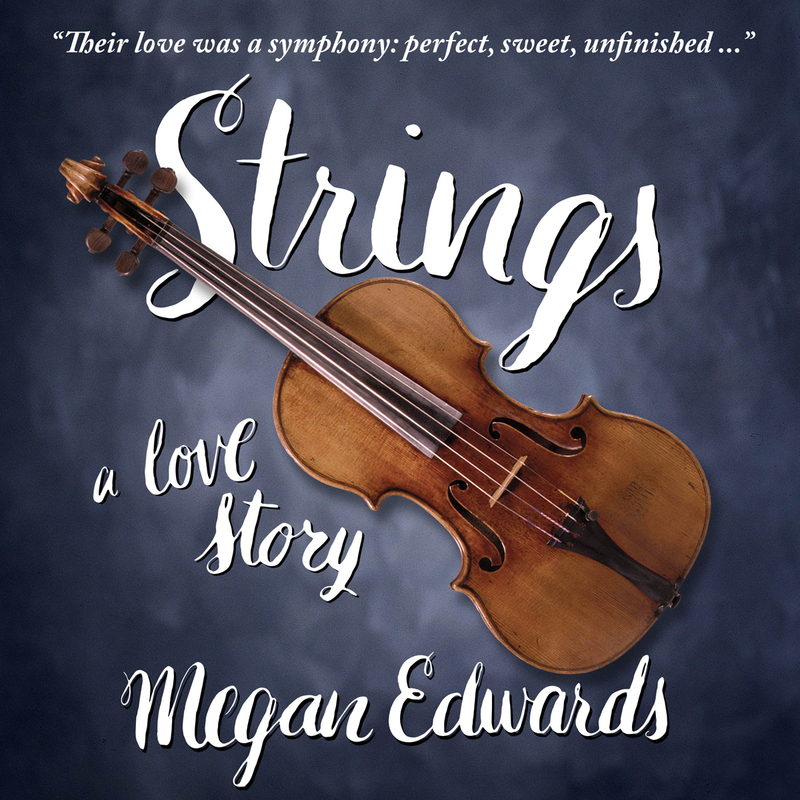 Edward’s Strings is a truly superb story that will illicit thoughts of lost loves and possibilities to which anyone who has ever been in love can easily relate. Playlists of the musical pieces mentioned in Strings are available online at meganedwards.com/strings.